Fremantle Hockey Club (FHC) has a long association with Fremantle and its surrounding districts. Established in 1933 the family orientated club has twice moved location since inception to meet the changing requirements of its members, the sport and the community. Across the world, hockey at all levels is now played on artificial surfaces (turf). FHC has recognised that to continue delivering opportunities for both its elite and everyday players, it must have access to its own turf. Due to space restrictions, another move is needed. The club has identified an opportunity for hockey growth within the adjacent Cockburn community and has completed a successful feasibility study based upon relocation to Lakelands Reserve and the construction of a new artificial turf, grass fields and clubrooms. 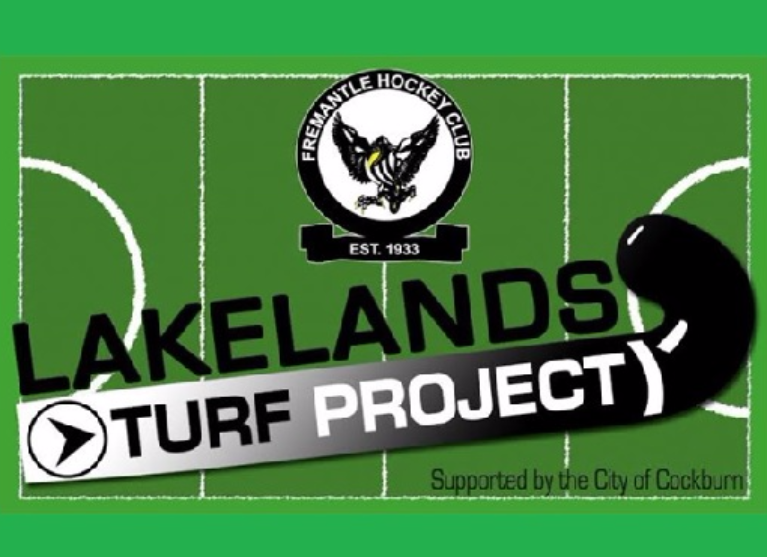 The aim of the FHC Lakelands Turf Project is to build an artificial turf on land leased from Department of Education with adjoining clubroom facilities at Lakelands Reserve. The project will establish new shared community and sporting facilities on Lakelands Reserve and provide opportunity for a specialist hockey program at the adjacent secondary school and nearby primary schools. Growth in local community hockey participation is expected. The project will provide FHC with first class hockey facilities. Elite and everyday players will train and play at the same ground. Achieving sporting success also requires access to the best facilities and strong organisational and community support. • Increase opportunities for players’ skills development and ensure a pathway to international hockey representation. Great to support a great family club. Thanks Fremantle Hockey club for being an accepting and inclusive club. It is fantastic the Lakelands Project is nearly completed . Thanks for all the effort by the hard working team behind this project. Can’t wait for th new facility!! This is the future for our children and grand children. A chance to move the club into the future. Looking forward to this project come to fruition in 2019.It would be wonderful to have the support of many donors to help the FHC reach its target. Great to see the dream finally being realised! Go Freo!!! !